Tactics can include flash mobs, videos, Internet campaigns and various PR stunts, all executed with the intent that they'll go viral. The best known example of guerrilla marketing is the Ice Bucket Challenge that started in 2014. It started in the Northeastern part of the United States. 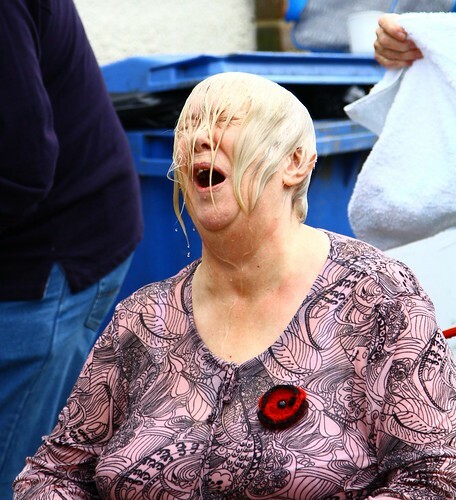 As a way of spreading awareness of ALS, people began pouring buckets of ice cold water on themselves. It went viral and to date has generated more than $220 million from around the globe. This is guerrilla marketing at its finest. It's one of those tactics that's so simple it makes you wonder why you couldn't think of that. Before this challenge, ALS had little awareness around the globe. Logical thinking would dictate that pouring ice water over your head has nothing to do with ALS. It's completely random and outside the box. This is why it worked. Most business strategies, especially marketing-related, are based on logic combined with proven statistics. It's both difficult and risky to think outside the box when it comes to marketing. Instead of thinking like the average entrepreneur, you have to change your mindset and think like a guerrilla, meaning thinking in an aggressive, unconventional way when it comes to marketing strategies. Here are 5 strategies to inspire a guerrilla marketing tactic for your business. Sometimes, by attaching a completely irrational action or event to a product or service, it commands public attention thereby giving people a reason to take interest. The idea of someone pouring ice over their head prompted people to care about ALS. Before the challenge, ALS was one of the thousands of diseases out there that held little to no notoriety. It was virtually uninteresting. This tactic steals the spotlight with controversy. It's usually a bold statement that verbalizes some unwritten or unspoken rule that is usually inappropriate or not politically correct to discuss. 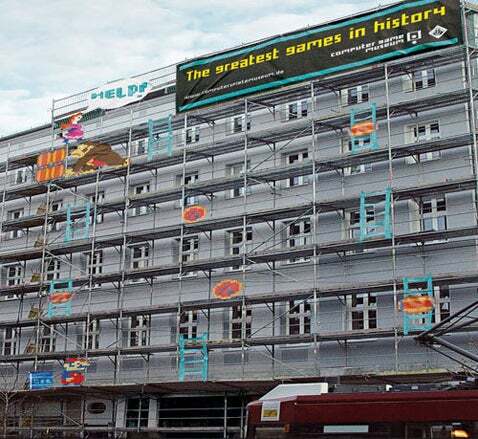 This type of guerrilla marketing will turn heads and have a high shock factor, but it also can have negative consequences if it's not received well by the public. You have to have a magical combination of trendy, shocking and creativity. The most effective method for this is through social media posts. For example, John Legere, the CEO of T-Mobile, posts tweets on a regular basis that “stir the pot”. He's been known for taunting competing companies on their pricing with aggressive tweets directed at them. He regularly announces his visits and interactions with employees in various locations around the country. He links to articles and makes comments on how T-Mobile's customer service trumps the subject matter in the article. His posts contain bold and sometimes controversial content, but are very effective based upon his following. The best example of this was started by a design student in Rhode Island. He made a bunch of stickers that said. “Obey” and “Andre the Giant Has A Posse”. The design of the stickers resembled the Soviet-style propaganda posters. His point was to make people question what certain ad campaigns instructed them to do or promised their products would do. The stickers quickly gained the attention of skaters, rockers and various underground types and quickly spread all over the world. The idea took off because the stickers were hip and held a cryptic message. Followers naturally thought it was cool to be a part of something not everyone understands. His hope was that the confusion would lead consumers to question other directives they receive in ads. You want to translate your campaign into an event or an object that provides tangible proof of your products' capabilities. Physical manifestations are powerful. Hence the growing popularity of flash mobs. Simultaneously, this is where it's highly advantageous to capture your event or object on video and then post it to social media with the intent of going viral. Keep in mind that you want whatever your tactic is to suit or compliment your products and to draw attention to your brand. Makers of the game Donkey Kong went so far as to make the side of this building into an actual Donkey Kong scene straight from the game. It was a risk that held a 50/50 chance of being considered “dumb”. When it was executed, however, it was highly effective. The best and most successful guerrilla marketing tactics may seem ridiculous, even dumb on paper. The truth is, that many of them may perhaps still be dumb when they're implemented, but that's the risk you take with this type of marketing. So be bold. The campaigns that go viral are the ones that are outrageous and way outside the box. Drop the fear of people laughing at you or you'll never be creative enough to execute a successful campaign. Whichever of the aforementioned methods you choose to execute, make sure you document and publish everything because most of these tactics gain momentum from their shared links, laughs and likes. Branding Evangelist at Google, Peter Juszczynski, is one of the many phenomenal speakers coming to Techsylvania this year. His company, Kellan Apparel Socks, is the first lifestyle brand ever to use guerrilla social media marketing tactics to structure the company completely around the reactions of its audience. Learn more from him at the conference. Get your tickets today.